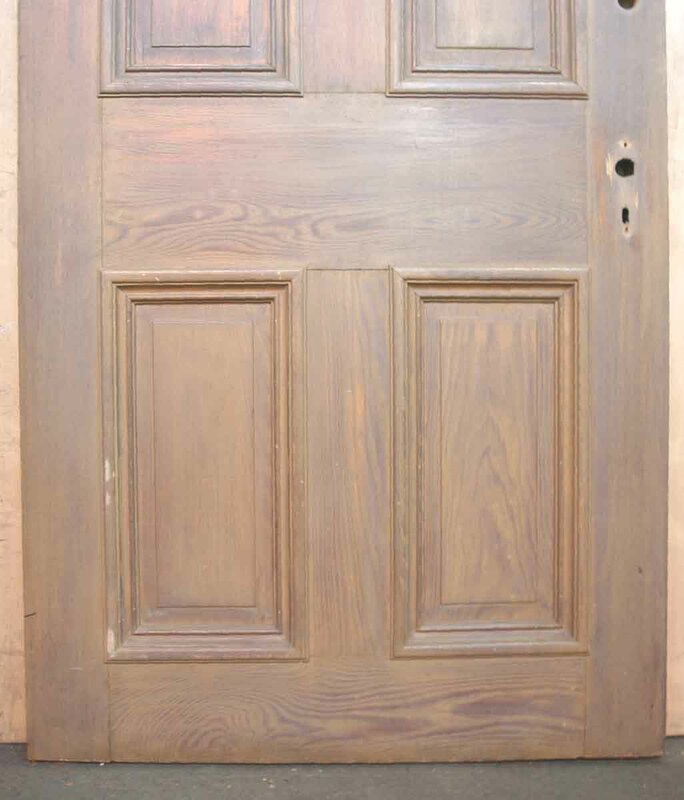 This door has a solid chestnut core, with an unusual combination of thick cypress veneers on the front side and chestnut veneers on the back side. 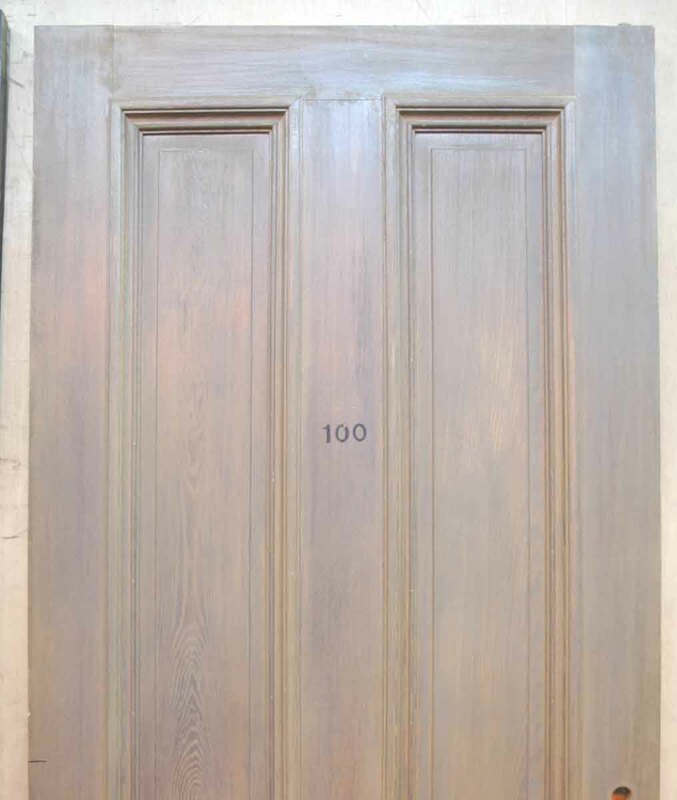 Judging from its size, the number on the front side, and the bore holes, it most likely served as an entry door to a hotel room. 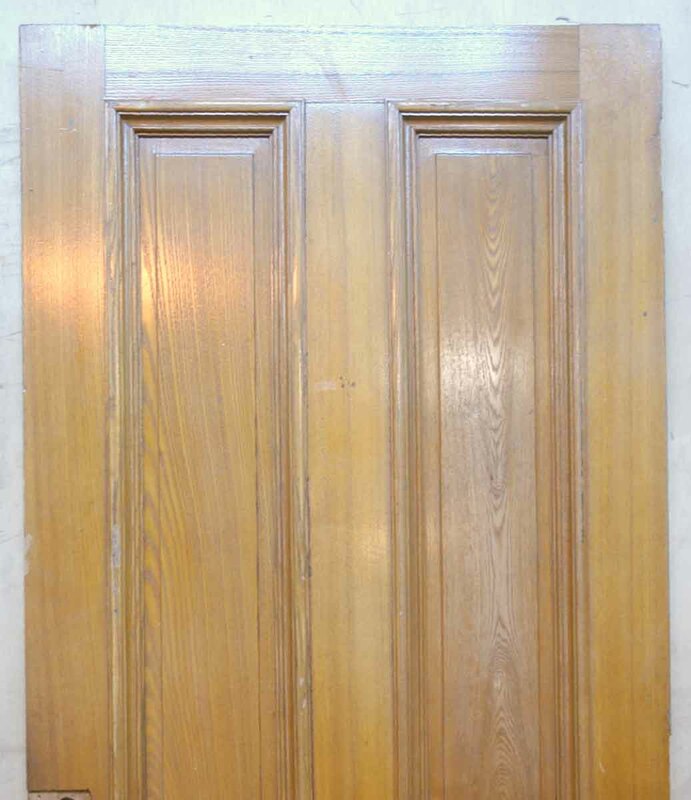 It has a beautiful arrangement of four raised panels, and each panel is contoured by a thick border of raised molding. There is no hardware included. 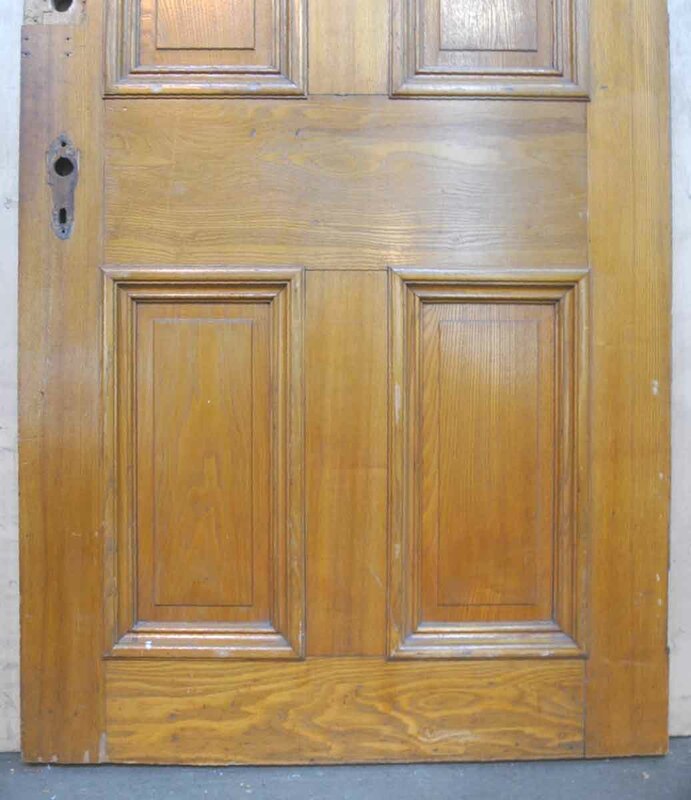 Once installed, the door would swing inwardly towards the left. Its in great shape and only has surface scrapes and scratches.